Rumors have been around for some time about a Nokia branded Windows powered tablet. As recently as last month, there was some talk that this slate would be introduced at the same time that the Nokia EOS would be unveiled. That is going to tale place on Thursday, meaning that those hoping for a slab produced by the Finnish based manufacturer will be crossing their fingers tightly heading into the July 11th announcement. Meanwhile, a member of the forum on Windows Phone Central posted a picture that he claims is of a prototype Nokia tablet, powered by Windows RT. The specs include a 1.3GHz NVIDIA Tegra 3 processor, 2GB of RAM, 16point touchscreen, HDMI-Out, USB port and a SIM slot. The poster states that Nokia pulled the device because of the dated Tegra 3 silicon. There still are questions about the legitimacy of the picture. Note the lack of a rear camera, something that is strange considering Nokia's heavy focus on cameras these days. 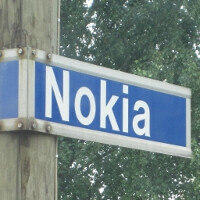 Just the other day, a Nokia Lumia road-map of sorts mentioned two tablets in the works. One has an 8.5 inch screen and the other has a 10.5 inch panel and is 8.5mm thin. Both will be offered in Green, Black, Pink, Blue, Green, Yellow and White and will feature aluminum casing. The camera on the tablets is said to feature Nokia's new Zoom technology which is supposed to be part of the Finnish OEM's media event on Thursday. "windows" is suppose to be a full OS. not a mobile OS that can only run mobile apps. Windows is nothing without its compatibility to run any 32 and 64 bit apps. just put a Intel Atom on it, costs just little more than current mobile SoCs and run full windows. even if it lags its better than running limited windows. It would be better if the app store was larger, until then RT is a flop. Yeah Windows RT is a fail .... just passed 100k apps, not even Apple has reached so many apps in so little time ... Greetzz. what happened to the guy who said he jailbroke RT? did he make any progress and get closer to permanent solution? He 'jail'broke and escaped, lol. RT? No Windows 8. Disappointed. "The poster states that Nokia pulled the device because of the dated Tegra 3 silicon." That's not going to be the final device that will be manufactured and sold. Lol everyone was saying that windows rt was bad and not very good but as soon as Nokia use it everyone suddenly loves it....funny that! I don't see anyone glorifying it, do you? Its no more fail than chrome book.. Lets talk about how lacking that is versus the price. Chromebook is way more fail it's true. You can actually get Chromebooks for a lot cheaper though. What people don't understand is that Windows RT is technically a full OS. It's just limited by it's power envelope and weak, weak performance compared to x86 solutions. Think, if Windows 8 (x86) stopped legacy support aka. any application made for Windows 7 or earlier versions, it'd be no different than Windows RT except having way more beastly guts inside. Now that ARM is dominating the mobile space, I don't doubt that as it's chips start closing the performance gap, more traditional legacy apps will be available for RT either through the app store, or a 3rd party website, where much of the legacy software comes from. Or lets look at what android was before SS..just needs one good player to bring the masses.